This beautiful glass vase will compliment any bouquet of flowers. The traditional, tall shape makes this vase a stylish purchase to enhance any interior decor. For both decorative and practical purposes, this vase is ideal for anyone who loves to display flowers around the home. Alternatively can be be used as an ideal gift for any occasion, from wedding venue decor, wedding gifts, Valentine's day, birthdays or anniversaries - in fact every occasion is covered. Dimensions: (Height) 29cm x (Diameter)13 cm approx. This item is supplied boxed. 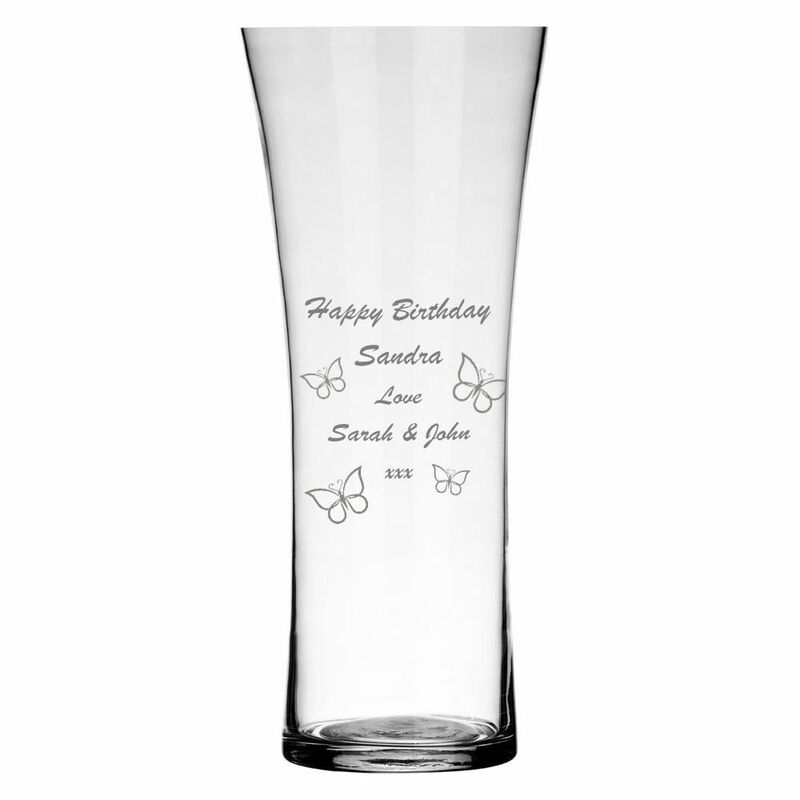 We can add any Birthday message along with a few butterflies placed randomly around your text, if you would rather no butterflies please make sure you advise us of this in with your instructions. 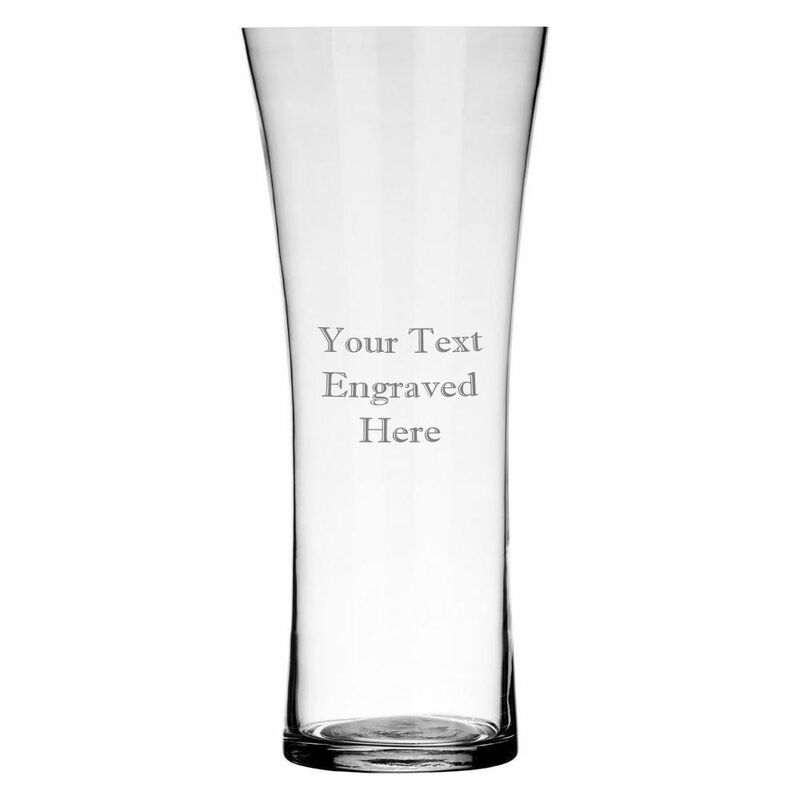 Your engraving will show through a Opaque white colour. 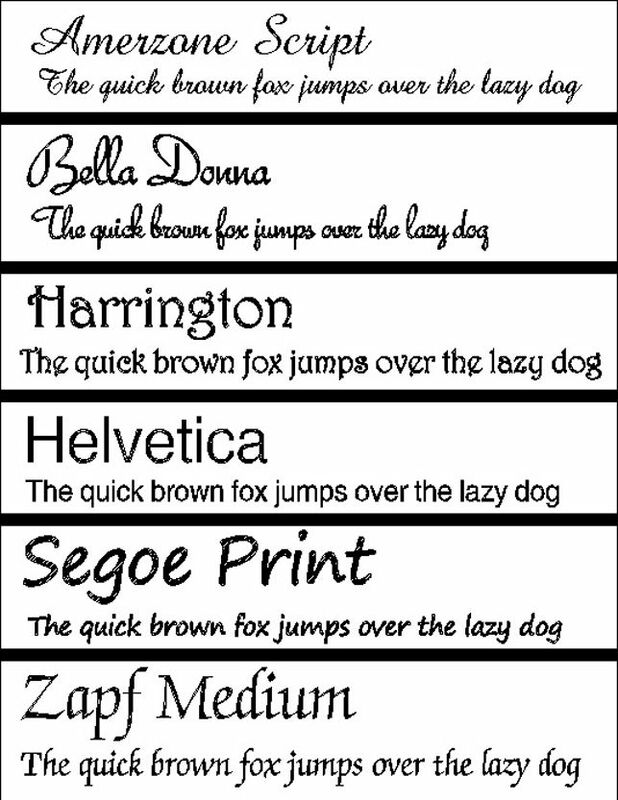 For engraving we recommend up to 7 lines of 30 characters per line including spaces.